Genomics Medicine Ireland (GMI) and University College Dublin (UCD) said they will partner to examine the relationship between genetic variation and human disease in up to 10% of the Irish population. 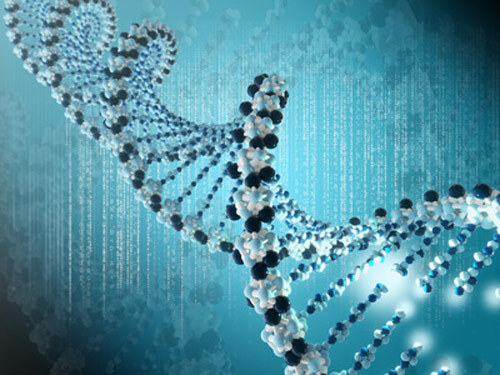 GMI—which recently became the Irish subsidiary of WuXi NextCode—and UCD said their partnership would be one of the largest academic and industry collaborations in genomics research to be announced globally, though the value of the partnership was not disclosed. The partners said the new initiative, called the GMI and UCD Genomics Research Collaboration, was part a large-scale population research program across more than 60 diseases, including multiple sclerosis, diabetes, inflammatory bowel disease, and Alzheimer’s disease. The aim, according to UCD and GMI, is to provide greater understanding of the role by a person’s genes, behaviors and environment play in their general health—insights that can help deliver precision medicine through the development of personalized treatments. “Today’s announcement provides us with the opportunity to apply UCD’s significant research and health sciences expertise to the development of genomic research and precision medicine in Ireland with potential to add real value in improving healthcare delivery and patient outcomes,” UCD President Prof. Andrew Deeks, Ph.D., said in a statement. Positioning Ireland as a key hub for genomics research and development is the goal of a $400 million initiative launched in November by GMI and The Ireland Strategic Investment Fund, with plans to create up to 600 jobs over five years. Under the new collaboration, GMI and UCD said they plan to support Ireland’s engagement and success in genomic medicine by carrying out efforts to build capacity, and train and develop medical professionals. “This agreement is the culmination of extensive discussions around how opportunities in genomic medicine and its benefits to patients can be realized in a careful and appropriate way,” stated Professor Orla Feely, Ph.D., UCD vice president for Research, Innovation and Impact. She said the collaboration would present a significant opportunity for UCD and its affiliated hospitals within the Irish East Hospital Group, the largest and most complex of Ireland's hospital groups with 11 hospitals (6 voluntary and 5 statutory) across eight counties. UCD teamed up in 2017 with GMI’s Institute for Sport and Health to launch Ireland’s first large-scale research study into the role of genetics on fitness and health. Their GenoFit Research Study was designed to provide a comprehensive view of potential genetic factors contributing to fitness and health, by combining advanced scientific technology in genomics, together with detailed lifestyle information. And in 2014, a predecessor company to GMI parent WuXi NextCODE partnered with UCD’s Academic Centre on Rare Diseases (ACoRD) in a collaboration focused on learning more about the causes and diagnosis of autism and rare diseases. “We now look forward to working with GMI to deliver globally impactful research that advances the field of precision medicine and puts Ireland at the center of global genomics research and innovation,” Feely added.